Permelec wire for electric fencing systems from Waratah can be utilised in a variety of circumstances such as strip grazing, cattle subdivision, kangaroo and dog control or adding to existing fencing. Waratah Permelec electric fencing wire has been designed for a greater electric current carrying capability and longer fence life. 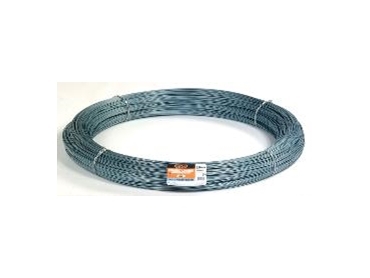 Easy to use, highly tensile and strong and flexible the electric fencing wire features Longlife coating for better corrosion resistance and is available in 2.50mm diameter.